The time has almost come to retire your OluKai sandals to the closet until next year. 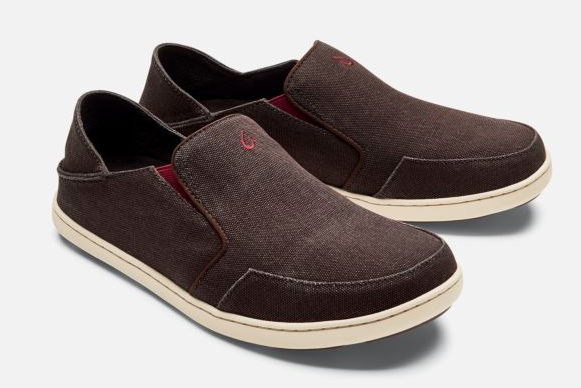 Luckily we offer a great selection of OluKai casual shoes to get you through the fall season. 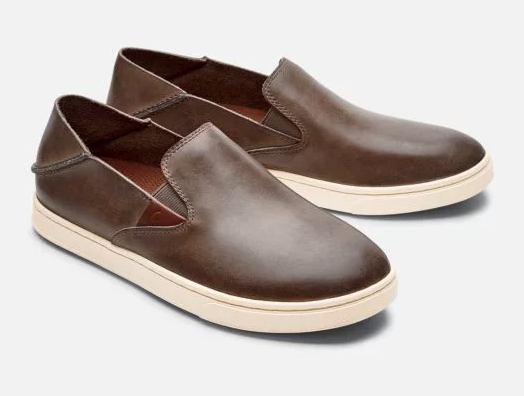 The same style, durability, and comfort you love, OluKai shoes are the perfect gift for your next event. OluKai gift experiences bring Aloha to your event no matter where it's located. Your guests choose their favorite pair on-site from a selection of styles for both men and women. Each pair is crafted with durable materials for a comfortable fit every time. 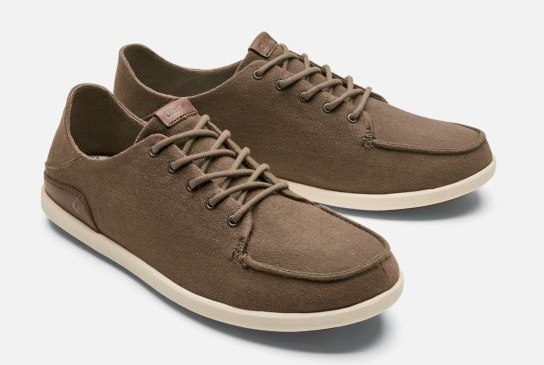 OluKai will soon become your guests favorite new pair of shoes. Take a look at some of our favorites! A well redeemed pair on-site, the women's Pehuea is the definition of breathable, classic comfort. They feature a Drop-In ® Heel Design offering both a shoe and slide functionality. The top of the Pehuea features breathable air mesh vamp with soft mesh lining for a comfortable, lightweight feel. The dual-density anatomical footbed features lightweight, moisture-wicking microfiber lining, as well as heel stability and arch support. With a variety of colors that can be dressed up or down, this all day step in comfort is sure to be a crowd pleaser at your next event. A part of the casual but sophisticated Pehuea family, the Pehuea Leather comes in soft, unlined full-grain leather or embossed suede. While a bit more on the dressier side, the Pehuea Leather offers the same comfort and durability features as the original Pehuea. Also a part of the Pehuea family, the Pehuea Lau highlights soft leather with the graceful allure of gardenia artwork. Offering the same comfort and durability features as the original Pehuea, the Pehuea Lau also features premium, high-character full-grain leather with custom laser-etched detail inspired by the decorative hula lei and elastic gore panels for a customized fit. We offer a great selection of OluKai styles for the men at your event as well. A well redeemed pair on-site is the Nohea Moku which is equipped for wet conditions, and inspired by and designed with nautical life in mind. It features the Drop-In Heel ® Design to offer a shoe and slide functionality. Their stretch bootie construction is designed for barefoot wear and medial water drainage ports. The top is made of lightweight, breathable mesh and elastic lacing system for easy on/off use and minimally lined with soft breathable microfiber. The inside features dual-density anatomical footbed with a polyurethane gel insert and soft, quick-drying jersey knit or single layer mesh footbed cover for maximum comfort and breathability. This casual and classy pair is perfect for just about any occasion as it be dressed up or down. It has a lightweight cotton canvas on the top with rich leather accents and soft lightweight lining. 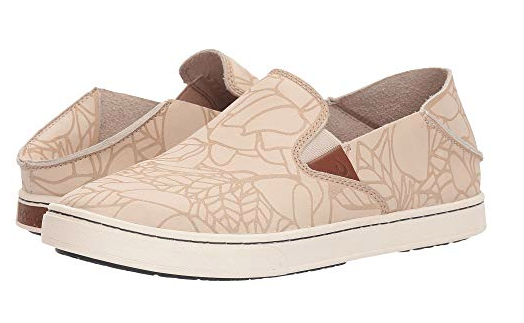 It features a triple-layer anatomical footbed with a soft moisture-wicking microfiber footbed cover and details inspired by Hawaiian paisley designs. The special sun-washed canvas on the men's Nohea Lole adds a fun and textural element to an OluKai original. This pair features hand-sewn seam stitching, a medium weight washed cotton canvas top, and soft, moisture-wicking microfiber lining. The outsole pods allow for flexibility and traction in all weather.